Atlantis is one of those myths that resurfaced to fascinate its audience two millennia after it was first introduced by Plato. This time, the excitement is over the newer finding of substantial quantities of an alloy believed to be orichalcum – a precious metal mined in Atlantis. 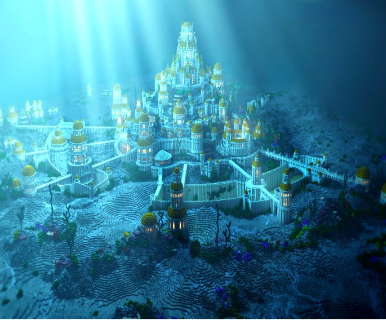 The obsession with the quest for Atlantis has led modern spots throughout the world to be examined for the Atlantis connection. Atlantis was, quite possibly, a ‘noble lie’. 39 ingots of an alloy – 75-80 percent copper, 15-20 percent zinc, and smaller percentages of nickel, lead and iron – were found by underwater archaeologists in 2015, at the site of an approximately 2,600-year-old shipwreck. The cargo vessel was thought to be from Greece, according to the Daily Mail.These ingots were believed to be made up of the fictional metal orichalcum. 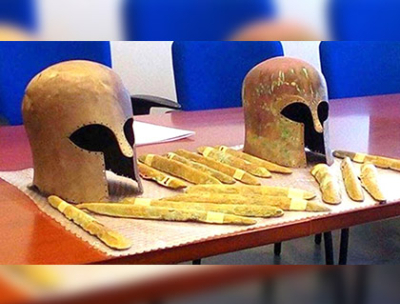 The investigations on this site, located off the coast of Gela (Sicily, Italy), continued and last month, a further 47 lumps of the same alloy were retrieved in addition to a jar and two Corinthian helmets. Researchers think the lumps were being ferried to Gela’s famed workshops for use in decorative objects. It is the first time such a great quantity of the alloy has been discovered. The site of investigation – 1000 feet from Gela’s coast and 10 feet below the sea surface – belongs to an area that also witnessed two other ancient shipwrecks. "The waters there are a priceless mine of archaeological finds", observed archaeologist Adriana Fresina. Note: Located between Athens and Sparta, Ancient Corinth was one of the largest and most important cities of Greece, with a population of 90,000 in 400 BC. The Romans demolished Corinth in 146 BC, built a new city in its place in 44 BC, and later made it the provincial capital of Greece. Why are enthusiasts of the Atlantis myth excited? Note: Enthusiasts here mean the people who fantasize about Atlantis as a paradise hidden in the sea. Such a portrayal of the discovery provided fodder for the already vigorous believers of the theory that Atlantis was a submerged mystery waiting to be uncovered. It also has the potential to captivate the non-committal and uninformed section of the audience. An article in Ancient Origins observed at that time, “While titles like "Atlantis' gold", and statements such as, "...the ancient shipment proves that Atlantis did exist", without a doubt capture peoples imagination, the truth is, there is nothing mystical, or unusual about orichalcum, as various newspapers, magazines, and the media seem to imply at every opportunity”. Further the article points out that most reporters connected the cargo directly with Atlantis without examining the circumstances. 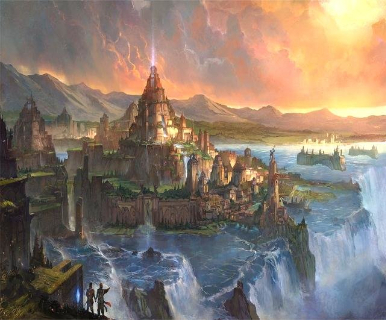 Popular mis-representations of the myth have also given Atlantis a makeover – it is imagined as a stellar personification of peaceful utopia. While nothing could be further than the Atlantis its creator spoke of, this idealization has fuelled the fantasies of occultists, dreamers and New Agers over lifetimes. The combination of the myth’s enduring charm and the media’s building on it has gotten all the Atlantis enthusiasts excited. When was the myth created? The myth has its origin in two of Plato the Philosopher’s dialogues – Timaeus and Critias which was never completed. In the Timaeus, Plato uses a character known as Critias to introduce the story of Atlantis and then has him detail it in the Critias. Critias narrates the story of a “perfect society” to illustrate the concept described in Plato’s Republic. In his allegedly historical tale set around 9000 years before Plato’s time, ancient Athens appears to exemplify the perfect society, and Atlantis, the direct opposite. Plato weaved his antithetic society in a sprawling island, greater in size than Ancient Libya and Asia Minor combined.Poisedon, one of the 12 Olympian gods owned the island and had a palace built from one of the mountains there for his beloved. 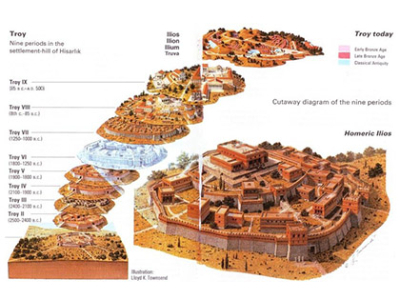 The three walls guarding the city around the mountain were made of red, white and black rock, covered with brass – the outermost wall –, tin – the second inner wall, - and the precious metal orichalcum – for the innermost wall. 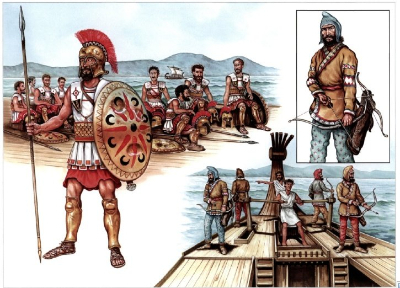 The Atlanteans had might and prowess and used both to expand their control; they conquered parts of Libya as far as Egypt and the European continent up to Tyrrhenia, and enslaved its people.The Athenians first led a coalition of resistors against the Atlantean empire, and then took on the empire all by themselves. Where do different perspectives on the myth come from? Its ability to hold the audience spellbound even as their fantasies were completely unleashed, observes James Romm, professor of classics at Bard College in Annandale, New York. Plato knew what elements to incorporate and those after him knew how to build on the foundation. “Was Plato’s story really a myth ” wondered writer Ignatius Donnelly, nearly two millennia after Plato invented it. According to Donnelly, Atlantis was the source of most advancements of the ancient world such as metallurgy, agriculture, religion, and language. His interpretation held that ancient cultures did not have the capability to develop things all by themselves, and must have borrowed them from a mysterious advanced civilization. Live Science points out an analogy – the much discredited idea that extraterrestrials were the “ancient astronauts” who aided Egyptians in building the pyramids. This formed the basis for numerous elaborations, spin-offs and speculations. Plato was very specific in where his Atlantis was located but variations and versions placed it almost in any conceivable place. At best, mystics and psychics had their share of fame, but their information was not verifiable and their predictions came to nothing. 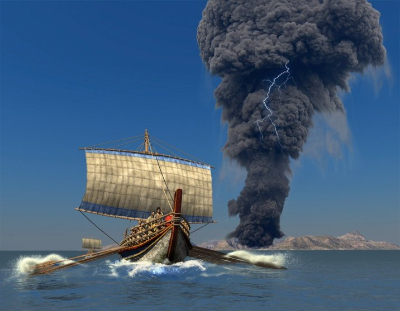 Devastating floods and explosions have occurred in history like the one that devastated the island of Santorini in the Aegean Sea near Greece and was accompanied by the sudden disappearance of the highly advanced Minoan civilization. 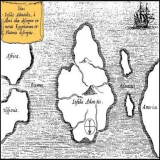 Robert Ballard, the National Geographic explorer-in-residence says this provides a logical layer to the story of Atlantis and also asserts that Santorini was not Atlantis – the times of destruction of both are spaced far apart. One oft-cited discovery by Atlantis enthusiasts is that of the lost city of Troy by German businessman-turned-archeologist Heinrich Schliemann in Turkey in 1872. While Troy had been ingrained as a myth made up by Homer in his epic poem Iliad before Schliemann, it was he who deduced the similarity between the geological descriptions in the poem and the Turkish landscape at a hill called Hissarlik (Charles MacLaren in 1822 had first suggested the location), and then proceed with conviction to excavate it. Note: There have been investigators who looked at Egyptian records of the Thera eruption, the Sea Peoples invasion or the Trojan War to see if Plato’s story was inspired by any of these. For one, the advances in oceanography and ocean floor mapping have not yielded a single trace.It is simply unfathomable that a land mass “huger than Libya and Asia combined” has somehow escaped the notice of all oceanographers, submarines and deep-sea probes in the world. 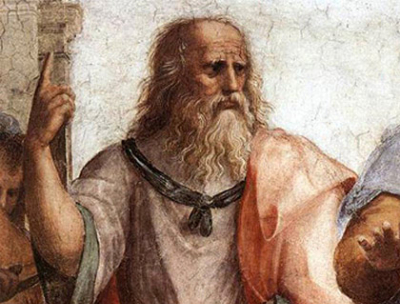 Plato most likely used the story as a vehicle for some of his philosophical theories. Atlantis gave him the opportunity to present some of his favorite themes. His other works suggest the same – divine versus human nature, ideal societies, and the gradual corruption of human society are found in many of them, says James Romm, a professor of classics. Plato recognized the power of legends as tools that would come in handy for indoctrination – as ‘noble lies’, noted modern philosopher Karl Popper. Critias, the character who narrates the story of Atlantis, was, according to Popper, “the first to glorify propaganda lies, whose invention he described in forceful verses eulogizing the wise and cunning man who fabricated religion . . .” Also, how Critias hears this story is worthy of attention – it was at a festival where society initiates its next generation into the clan; the context is perfect for education of youth through fictions presented as fact. This perspective makes the case for Atlantis as one of Plato’s noble lies: fictions that serve to make a point, not to refer to the past. Who did Plato want to send out a message to? Plato’s story, from what is known made a resounding case for ancient Athens – a pseudo-historic example of his ideal state - and Athenians and a moral side to the story – greed for wealth and power will lead to annihilation – is portrayed through Atlantis. The virtues extolled were those found among the heroic Athenians while the people of Atlantis were used to highlight the message that “moral bankruptcy” would lead to disaster – in the case of Atlantis, enraged gods sent “one terrible night of fire and earthquakes” leading to the sea swallowing Atlantis. How have other Atlantis connections been popularized? Modern-day historians and philologists – those who study and determine the authenticity and meaning of written historical record – accept Atlantis as a work of fiction, there remains debate on what event or events may have inspired it. One such speculation based on archaeological, seismological, and vulcanological evidence links the Atlantis myth to Santorini. What Plato presented as Atlantis, he may have constructed from Thera folklore exaggerated over generations spanning more than a millennium. It was a major catastrophic volcanic eruption – one of the largest volcanic events on Earth in recorded history. It blew a massive hole into the Greek island of Thera (now called Santorini) and set the ancient Mediterranean onto a different course. It brought about the sudden decline of the Minoan culture, the dominant civilization of the Mediterranean at that time. Environmental effects spread across the globe, as far as China. The excavation of Akrotiri – a Minoan Bronze Age settlement on the volcanic Greek island of Santorini – in the 1960s provided the basis for the speculation of the Atlantis connection. The connection strengthened after the reconstruction of the island’s pre-eruption shape and recovery of landscape frescoes.These bore a strong resemblance to Plato’s description. More recently, television documentaries - Lost Worlds (episode "Atlantis") aired on History Channel, Solving History with Olly Steeds aired on Discovery Channel and BBC's Atlantis – have popularized the possibility.